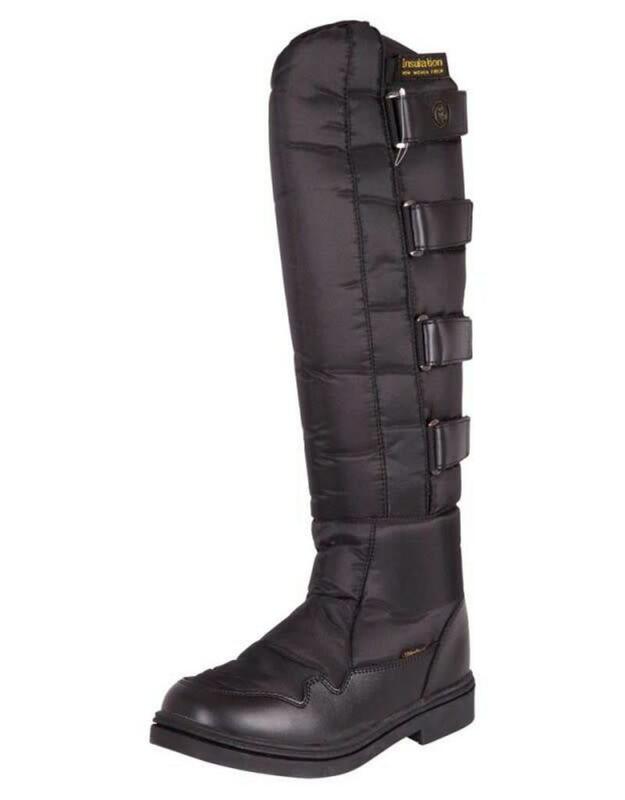 Fashionable and elegant winter boots with warm insulated lining. These new BR boots offer a lot for a competitive price! The sole consists of three different layers: the outsole is made of nature rubber with a non-skid profile; the mid sole supports the foot and the insole provides comfort. The non-woven fibers in the sole provide insulation. The lining is made of multi-span, a waterproof membrane with 4 mm polyurethane. The leg is water-resistant, lined with visa-terry (similar to fleece) and 4 mm polyurethane. The outer of the boot is made of heavy 660D nylon with a synthetic leather protection on the inside, which provides more grip. The boots feature 4 Velcro closures and a spur rest.